Wind-speed requirements are not the only thing that needs to be considered before disaster strikes. 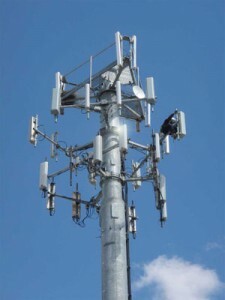 The type of tower used is another factor in a site’s ability to survive. About a year ago, a tornado ripped through Dunwoody, GA, an affluent community 14 miles north of Atlanta, snapping trees and scattering debris. Verizon’s site, which was in Dunwoody and at the heart of the tornado, managed to remain standing. Suzanne Hale, Verizon senior real estate representative, said the aerodynamics of the tower might be part of the reason it didn’t go down. The shorter monopole, rather than a lattice or guyed tower, may have saved the tower from destruction. A monopole’s tubular design and fewer connecting pieces make it less vulnerable to tornadoes. With self-support towers, the lattice is often flat and actually can aid a tornado in putting pressure on the tower. A guyed tower depends chiefly on supports to keep it upright. Once a support snaps, the intense torque of a twisting wind often will create a house-of-cards effect. Jim Fryer, ConvertYourTone.com and TowerSource publisher, said engineers should not expect a site to be operational if a tornado hits it. Although he agreed that a monopoly’s simplicity might improve its ability to withstand a tornado, the unpredictability of tornadoes makes it impossible to know for sure. In the case of a hurricane, Craig Lekutis, American Tower Specialty Construction director of business development, said freestanding and support towers are better engineered to handle sustained winds. The lattice design of both types of towers allows a single-directional wind to pass through it more easily. Because there usually are more providers co-located on these types of towers, the steel must be thicker to support a higher loading requirement. This may help the tower maintain its foundation hold. However, the type of equipment on the tower can have a negative effect on the tower’s performance during high winds. According to Jim Janoviak, qServe COO, giant dish antennas have a tendency to turn into big sails in a hurricane. Although the network dictates what type of antennas a provider will use, Janoviak said panel antennas fare better than dish antennas in severe storm situations. Lattice and guyed towers still may be standing after a hurricane, but they aren’t guaranteed to make it through unscathed. Verizon’s Hale tells a story about a tower in Florida during Hurricane Andrew. Another important consideration when assessing your sites’ disaster preparedness is making sure that the tower is not overloaded. Hale recommends that all sites, not just those in disaster-prone areas, be regularly inspected and maintained to ensure they are properly loaded. Obtaining the tower’s engineering drawings is a good idea when investigating its loading capacity. Even for providers that do not own their own tower, getting a copy of the tower’s structural drawings is essential for two reasons. First, it’s the only way to get insurance on your equipment, which Hale strongly advocates especially in disaster-prone areas. Second, if the tower fails due to overloading, and you are the last provider to co-locate on it, you could be facing a liability. Although vertical loading is critical in high-wind areas, lateral loading is the focus for towers in seismically active areas. Lateral loading is how much movement a site’s base or foundation can withstand. A tower’s lateral load limit is set according to the soil on which it is built. Malouf explained how towers his company constructed made it through the Northridge, CA, earthquake, which measured 6.7 on the Richter scale. Ground borings drilled prior to construction indicated the stability of the soil. After taking into consideration the amount of liquefaction the soil might achieve during seismic activity, the foundation’s depth was determined for each structure. In nonseismic areas, unstable soil was removed and the foundation poured directly on top of a resilient soil such as crushed rock. “After soil, the next thing that you have to consider is proper confinement of the steel in a seismic zone,” Malouf said. According to him, towers in California often use closer tie spacing and drill casements to give added support. Ken Woo, AT&T director of corporate communications, added that in the event of an earthquake, the sites that are more vulnerable are not those on towers, but those on buildings. In the same earthquake, AT&T lost sites, most of which were rooftop sites. But tower sites located near the epicenter stood firm. Some disasters are not natural. Some are manmade such as a wildfire. Recently, wildfires that raged through Western states burned a combined 64,000 acres causing ambient temperatures to soar. In cases of extreme heat, Ted Jakim, Airxcel Crispaire division telecommunications manager, said a site’s HVAC system is probably a provider’s only insurance against network failures. Will an HVAC system save your site from a wildfire? Jakim said probably not, but it could save your equipment from a small brush fire. Brush fires, which are generally fueled by short grass rather than trees, could stay lower to the ground and out of the reach of HVAC units. Adhering to Belcore standards, HVAC systems are designed to withstand operational temperatures up to 130[degrees] F.
“If it is just a matter of keeping the inside of the shelter cool, the system may be able to do that, but if the fire hits the cabinet unit, it will probably melt the insulation,” he said. A typical shelter HVAC load is about six tons or 72,000 BTUs. Some HVAC systems can be programmed to use a redundant system to double the system’s cooling capacity and combat excessive heat. Jakim points out that in most disaster scenarios a site will be forced to use UPS power, rather than grid power. In the long run, using two cooling units simultaneously may use too much power and cause the entire site to go down sooner rather than later. According to engineers, fire’s effect on a tower is not at issue, but the coax on a tower will most likely degrade. Coax is designed for high internal heat and can withstand 212[degrees] F interior temperatures, but only 158[degrees] F externally. Most of today’s coax is designed to be waterproof, but none is fireproof. Every provider’s goal is to continue service during and after disaster strikes. Diligent maintenance, appropriate loading and well-built towers are the best way to ensure uninterrupted service no matter what type of disaster you face. “(It’s) not 100% that (your towers) are not going to fail, but you are probably at the 99% factor if you are getting proper engineering and review and maintenance on the tower,” Hale said. * Soil parameters: Normal cohesive soil has an allowable net vertical bearing capacity of 4,000 pounds per square foot and allowable net horizontal pressure of 400 pounds per square foot per linear foot of depth to a maximum of 4,000 pounds per square foot. * Wind loads: Horizontal force applied to each section of the structure caused by wind cannot exceed two times the velocity pressure gust-response factor for fastest-mile basic wind speed and gross area of one tower face as if the solid. * Linear appurtenance loads: For guyed towers, the section considered to have a uniformly distributed force shall not exceed the span between guy levels. For free-standing structures, the section considered to have a uniformly distributed force shall not exceed 60 feet. For monopoles, the section considered to have a uniformly distributed force shall not exceed 30 feet. Are You Ready For The New Apple iPhone? Machine Learning: Are Businesses Ready For It? Is It Possible To Have Driverless Trucks? Ajeng Ayu on Is It Possible To Have Driverless Trucks? Karey Rohowetz on Tornado Time: What To Do? Keitha Nubia on Tornado Time: What To Do? Desire Cartrette on Tornado Time: What To Do?